On Wednesday 5 November the Czech Dreams return to Poland for the fifth time in this year, and this time exceptionally to the capital city. 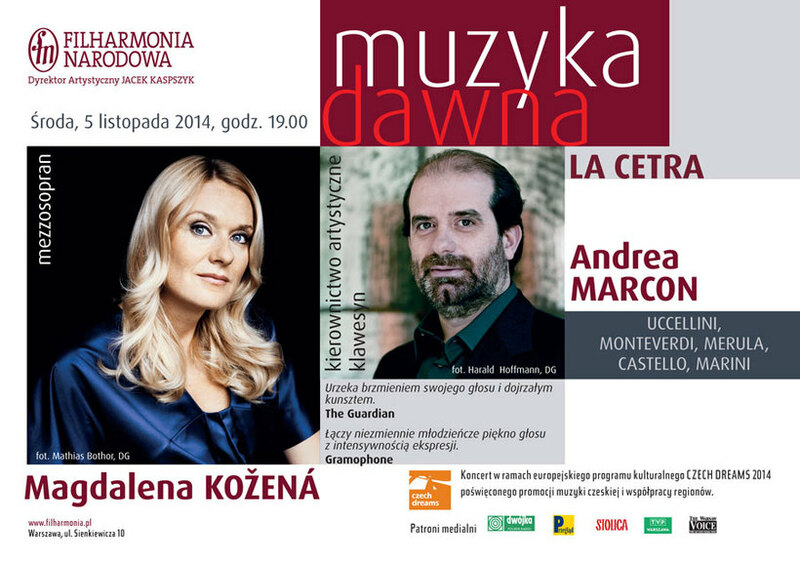 Patron of the Czech Dreams, the mezzo-soprano Magdalena Kožená will perform at the concert hall of the Warsaw Philharmonic together with La Cetra Ensemble from Basel. The concert will be conducted by the regular collaborator of Magdalena, the Italian conductor Andrea Marcon with whom she has appeared at world stages and in various recording projects. The program consists of arias By Claudio Monteverdi and includes also instrumental works composed in 17th century by Italians Marco Uccellini, Dario Castelo, Tarquinio Merula and Biagio Marini.